Israel's system of proportional representation allows small parties a chance of getting a seat in the 120-member Knesset, Israel's parliament. There is however a barrier to the very smallest, as a party must win at least 3.25 percent of total votes cast to enter the legislature. This leads political minnows to band together in tactical alliances giving them a better chance of breaking the barrier. This year 41 alliances or individual parties are competing for the attention of just over 6.3 million eligible voters, according to the central elections committee website. Israeli citizens aged 18 and over can vote. Turnout in the 2015 election was 72.3 percent. Each contending group lists its candidates in order of precedence, decided either in party primaries or by an internal committee. The number of seats allocated to each list is calculated according to the percentage of votes won. For example, if a party or alliance wins 15 seats, the first 15 on its list become lawmakers. The plethora of parties means that none are likely to win a 61-seat Knesset majority so after the votes are counted, the horse-trading begins, as the larger parties or alliances woo the smaller groups in an attempt to build a working coalition. The president of Israel, currently Reuven Rivlin, is tasked with quizzing all parties after the results are declared and hearing who they recommend to try and form a government. On the basis of those talks he asks the person he judges has the best chance, which may not necessarily be the leader of the largest party. In 2009, the centrist Kadima party won the most seats but was unable to put together a ruling coalition. 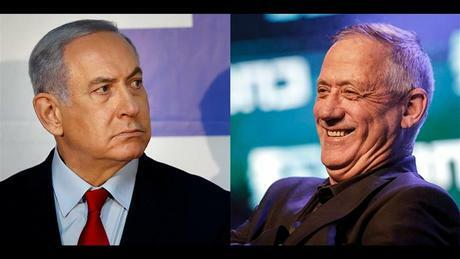 The task went to Benjamin Netanyahu's right-wing Likud, which had won a single seat less than Kadima but was able to put together a coalition. Netanyahu, who had previously been premier between 1996 and 1999, retained power in 2013 and 2015 elections and is seeking a fifth term this time.